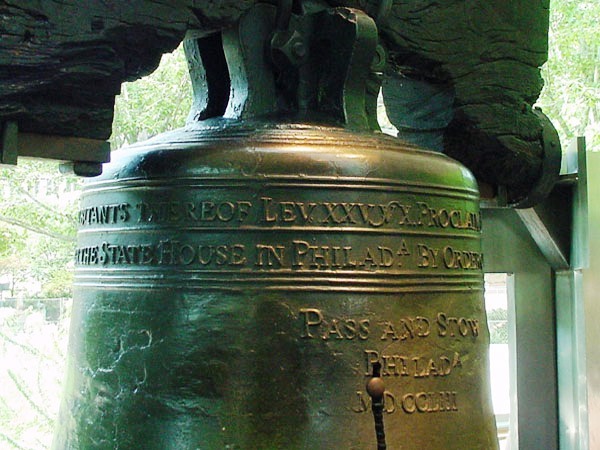 PHILADELPHIA — A civil liberties organization states that the United States Supreme Court is showing signs of interest in a case involving an evangelist who was arrested while preaching near the Liberty Bell. The Rutherford Institute is representing Michael Marcavage of Repent America in Marcavage v. Saperstein, et al., which surrounds Marcavage’s unlawful arrest in 2007 while preaching near Independence National Historical Park in Philadelphia. Six months later, Marcavage was issued a citation by certified mail, accusing him of “Interfering with Agency Function.” After a lengthy two-day trial, Marcavage was found guilty and escorted by U.S. marshals to be booked and processed. The ruling was appealed and upheld the following year, but when the case reached the Third Circuit Court of Appeals, it was overturned unanimously by a three-judge panel. In U.S. v. Marcavage, the court declared in a 52-page decision that “the government impermissibly infringed Marcavage’s First Amendment right to free speech” because Saperstein and other rangers unlawfully attempted to move Marcavage due to the content of his speech. The court outlined that it accelerated the release of its opinion as it believed that Marcavage had wrongfully suffered long enough. “Marcavage was convicted in June 2008, or approximately two years ago. The weight of that conviction no doubt has taken its toll on him during the pendency of this appeal. The passsage of time and the importance of correcting a criminal conviction that may have been obtained in error also counsel or resolution of this case one way or the other,” wrote Judge Michael Fisher. Marcavage had been scheduled to attend a probation revocation hearing two weeks later for allegedly violating the terms of his probation while engaging in free speech, but it was canceled following the issuance of the Third Circuit’s ruling. The government was seeking to put Marcavage in prison for at least 60 days. Ranger Alan Sapertstein stands in front of Michael Marcavage as he preaches the Gospel. However, Marcavage believes that his right to engage in free speech activity on the public sidewalk was indeed crystal clear at the time of his arrest, and that the judges glossed over the circuit court’s findings that the rangers acted out of discrimination against his speech. Therefore, Marcavage has appealed his case to the U.S. Supreme Court, and is asking the court to bring clarification regarding when police officers, rangers and other government officials must be responsible for violating the constitutional rights of citizens. The federal government decided not to file a response to Marcavage’s challenge before the court. Last week, William K. Suter, the clerk of the Supreme Court, issued a letter to the U.S. Department of Justice, strongly advising the government to respond anyway. “Although your office has waived the right to file a response to the petition for a writ or certiorari in the above case, the court nevertheless has directed this office to request that a response be filed,” the letter stated. He explained that the Marcavage case is important to the American people because it will help to further clarify what police officers and other government officials must be held accountable for when they violate the constitutional rights of citizens. He cited the recent arrest of missionary Jesse Boyd of Full Proof Gospel Ministries in Holly Ridge, North Carolina, who was taken into custody after telling police officers to “repent” during a Fourth of July celebration. Boyd was jailed for several hours and released on $500 bond. However, a disorderly conduct charge pressed against Boyd was dismissed days later by Onslow County District Attorney Ernie Lee, citing that Boyd’s speech was protected by the First Amendment. The Supreme Court will decide if it will accept Marcavage v. Saperstein, et al. in the months ahead. The Department of Justice has until August 23 to file a response.